Normally, when I think of France, I think of either Paris, or of port towns on the Mediterranean, since I first lived in France in the sixties and seventies in port towns like Nice and later in a fishing village near Hyères. Over time I added Provence to my favorite places. 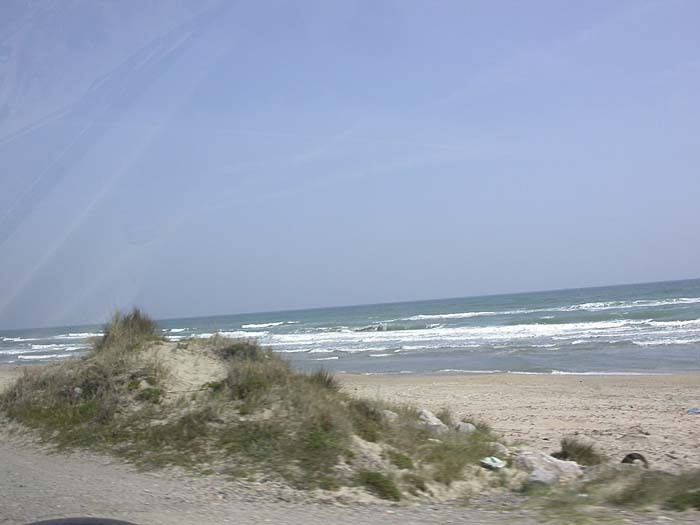 Then F and I discovered the Normandy coast together some 15 years ago. Last year we spent a week in Provence, and, to accommodate our love of sailing ports, stopped for a couple days in La Ciotat. We can usually not imagine wanting to spend time in a vacation spot that is not on an ocean. However, this trip we did not want to return to La Ciotat, nor to Nice, nor Hyères, though we did want, as usual, to spend some time in a port city. We found what we wanted in Sètes. Our entry from the west led us along miles of sandy beaches, then over a very steep mountain just at the shore, then down into an industrial complex that promised nothing in the way of a beautiful sailing port. But, with persistence, we finally found the old port area, the quais full of large fishing boats, a marina full of sailboats and pleasure craft, and cafés and restaurants lining the waterfront for a couple kilometres. We checked into L'Orchide Bleue, and opened our window on the fifth floor out onto a perfect panorama of this huge working port. Home.